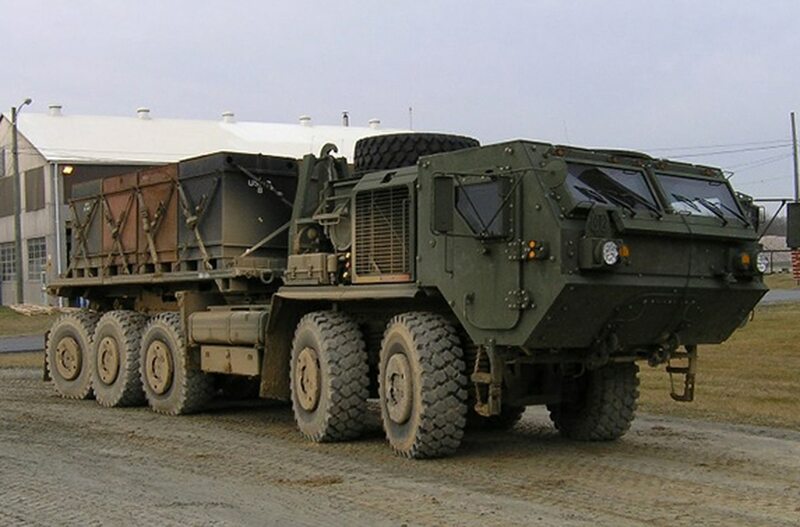 Soldiers with the Florida National Guard were driving a convoy of vehicles similar to this Palletized Load System vehicle when they were involved in a collision that killed one of the soldiers, officials say. One soldier was killed and five others injured in a three-vehicle collision on Friday, according to officials with the Florida National Guard. Spc. Luis Garcia, the driver of one of the vehicles, was fatally injured, officials said. Garcia was from Homestead, Florida, said the officials quoted in a WFLA news report. The soldiers were in a convoy of three palletized load systems — heavy cargo vehicles similar to tractor-trailers — when the vehicles collided near Sebring, Florida, according to a statement from the Florida National Guard. A preliminary investigation found the PLS vehicles, assigned to a Guard unit out of Miami, collided in a chain-reaction crash, officials said. The convoy was traveling on a highway when the third vehicle didn’t stop for a red light in time and hit the second vehicle, officials said in the WFLA report. The five soldiers injured were transported to area hospitals, and none of them had life-threatening injuries, police said. No civilian vehicles were involved. The Florida National Guard and Sebring Police Department are investigating the crash, WFLA reported.